Beastly Reads | Bookworms | Kids VT - small people, big ideas! 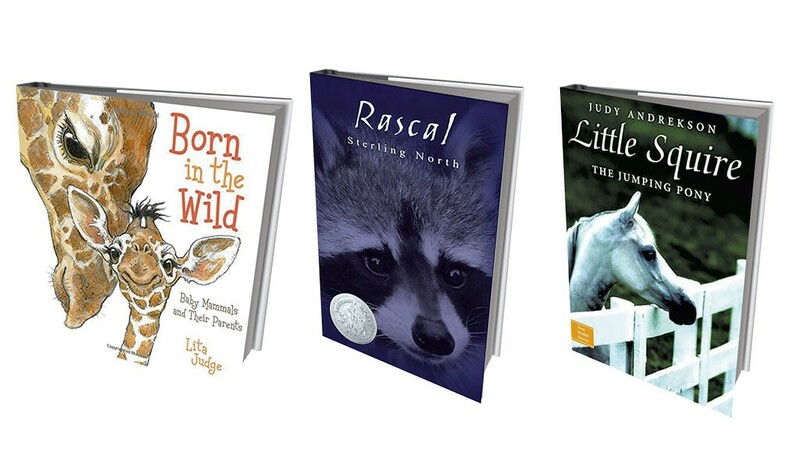 Looking for an engaging nonfiction title for your kids? Any book featuring cute and cuddly creatures is likely to be a hit. For our Animal Issue, we asked Toni Gildone, children's librarian at the Chelsea Public Library, to tell us about her favorite informational books about animals. Find her recommendations below. Says Gildone: "A delightfully informative book. The adorably childlike and playful illustrations of the babies and their very maternal — loving, supportive, protective, nurturing, teaching — mothers are warm and reassuring depictions of the ways mammals parent. While the big message is mother love, the book offers plenty of fun facts for information-seeking animal lovers." Says Gildone: "A charming memoir about growing up, making bonds, understanding life and letting go. It spans the year Sterling North was 11, when he adopted a baby raccoon, which he raised, loved and eventually returned to the wild. North learns a lot about life during that year." Says Gildone: "A [true] horse story about grit, determination, spirit, and the incredible love and respect between animal and human. Little Squire's jumping talent is discovered early, when, as a colt, he is first separated from his mother in the pasture. He jumps a stone wall to get back to her. The book chronicles the little pony's life as he makes it to the United States and into the hands of an extraordinary horse trainer, Irish immigrant Mickey Walsh.